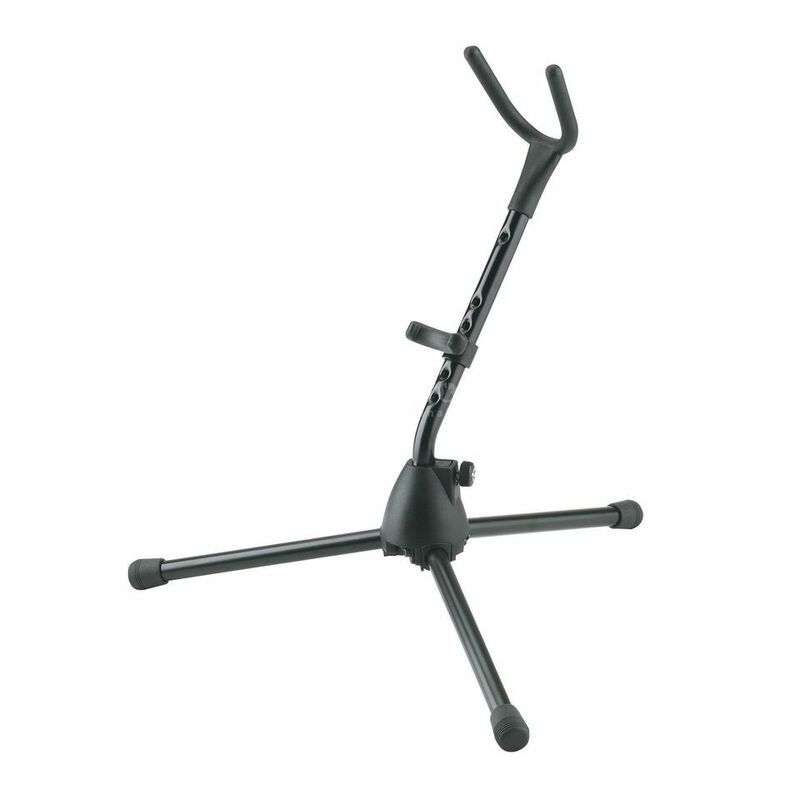 The Konig & Meyer 14315 curved soprano saxophone stand is fully adjustable for all curved soprano saxophones. The sturdy tripod base is reinforced with fiberglass and folds away for easy storage and transportation. All support arms are covered in a plastic coating to prevent any damahe to the instrument finish.